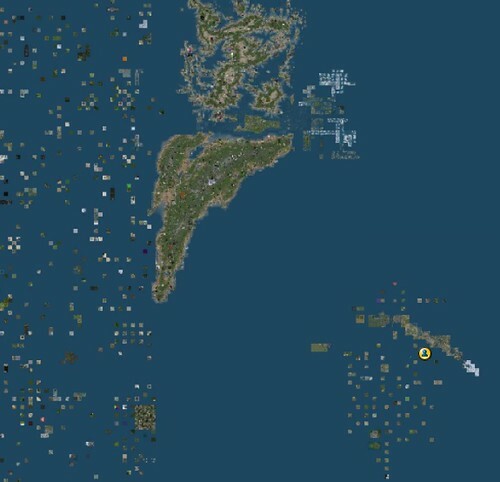 Last Friday, the Second Life Teen Grid (TG) merged with the Main Grid (MG) (you can see the area below in the bottom right of the map), putting a definitive end to a long-standing separation of teens in this virtual world, that caused more problems than it solved. The original idea of separating the13-17 year-olds was to protect them from some of the more unsavoury aspects of (second) life, but the over-strict regulations that existed to keep non-teens out of the TG meant that a lot of teenagers simply lied about their age in order to get an account in Second Life. The original decision taken by Linden Labs was to close the Teen Grid, but they reversed this decision and plumped for a merger because of pressure from educators. Now, everyone aged 16+ can join Second Life, but those under 18 have restricted access to certain areas. Some of the other teens (aged 13-15) still have access to certain islands, which have been moved, but which are not open to the public. However, most of the Teen population under 16 has been left without access to this virtual world. As far as the British Council Isle project is concerned, our MG island was a duplicate of one of our TG Isles (it was principally used as a show-case for the TG project) and so we will be closing this, and we have now opened our former Teen Grid to the public. 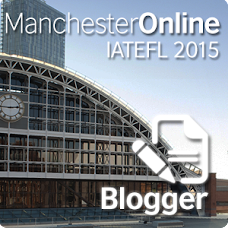 How many online learners of English are there? As part of my role as social media consultant for the British Council's English Innovation team, I've just been involved in an interesting discussion about how many learners of English it's possible for the British Council to reach online. I thought it would be interesting to share my thoughts about this with people here, as I'm be particularly interested in finding out from people if my thinking about this is completely off, or if I'm making a reasonable guestimate. David Graddol estimated the figure of 1 billion 'learners' of English in English Next (2006), saying it would increase to 2 billion in 10-15 years. The figure of 1,000,000,000 is interesting. The total population of the world is currently 6,894,200,000 (US Census Bureau). So that means an estimated 14.5% of the world is learning English. 760,000,000 people are 'speakers' (native or second language speakers), which is 11% world population (via Wolfram Alpha), so there are more people learning English than there are who speak it. When does a 'learner' of English become a 'speaker' of English? At what point do these learners of English stop? When they become a 'speaker' of English? Then there is the question of how many of these learners of English use the Internet. There are 1,571,000,000 Internet users in the world (again via Wolfram Alpha), so that's 22.7% of the world's population. How many of these speakers is it possible to reach online? Taking into account all of this, perhaps we can assume it's only possible to reach a maximum of 22.7% of the world's language learners, which means 220,000,000 people. If we assume this, then the British Council currently reaches around 14,000,000 learners a year with its websites, which is 6.4% of maximum possible audience. One of the ways that this guesstimate falls down, perhaps, is in the % calculation of language learners who use the Internet. My educated guess is that the % of learners who have access to the Internet is much lower than this- perhaps half the figure above (so, 110,000,000 people). If this is so, then the websites reach an estimated 12.7% of total possible online audience, which sounds like a more reasonable number. As I'm no statistician, and Maths is one of my weak points, I'd love to hear if I'm completely off-track here . What do you think? Is this fuzzy thinking?